When educating yourself about any field, it seems best to me to go straight to the people actually doing the work. The ones in the field, on the set, day after day. The ones for whom the craft isn't theoretical, but a cold practicality, a problem to be solved. Here are a few filmmaking podcasts that give you close access to talented creators. I've gotten a lot out of them. The official podcast of the WGAw, 3rd & Fairfax features interviews with writers discussing their latest work, and covers TV as well as features. The American Society of Cinematographers creates this podcast about the art of capturing moving images. The interviews feel unrehearsed and candid, and feature artists who we typically have less opportunity to hear from. This official DGA podcast features a unique format of established film directors being interviewed by their peers. It's fun not only for the educational content, but for the friendships and relationships that are revealed in the discussions. Host Jeff Goldsmith interviews screenwriters and the occasional director or actor about their recent films, asking in-depth and unique questions. These interviews are approachable for novice and experienced writers alike, as he dives into both breaking-in stories and deep discussions of structure and craft. Hosted by working writers John August and Craig Mazin, Scriptnotes is "a podcast about screenwriting and things that are interesting to screenwriters." It's both extremely educational and entertaining, with John and Craig coming at writing from different perspectives and discussing all parts of the process, from breaking in, to craft, to the business, and everything in-between. "…cutting through all the technology and cutting through all the cultural fads, the fashion, the one thing you can rely on—the one thing that has to be protected—is that initial inspirational spark you had when you first decided that you wanted to express yourself through the moving image. That’s very hard to protect. It can be chipped away at over the years. You may have to do things that you don’t necessarily want to do. But you still have to protect that initial inspiration. Ultimately, it’s just you and that. Nothing else matters." An excerpt from Heston's journal, followed by his own reflections years later. For an artist, every work of art is instructive, even if only as a cautionary tale, an example of what should not be done. But some works, and some artists, teach us more than others. 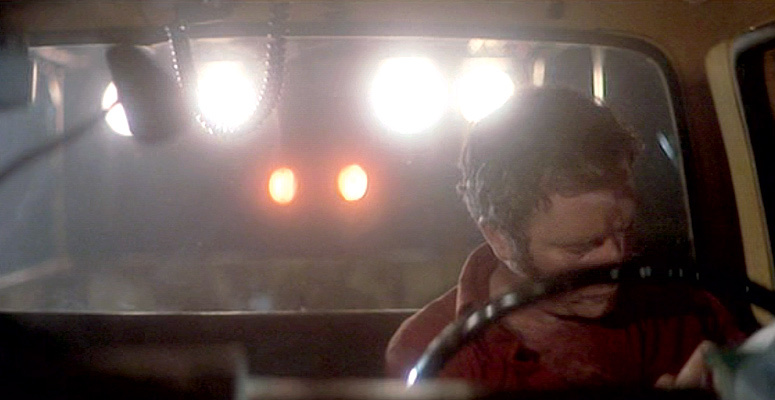 Steven Spielberg's Close Encounters of the Third Kind was briefly in theaters again in celebration of its 40th anniversary. It's a beautiful, strange, and unconventional piece of filmmaking. Through it Spielberg inspired filmmakers like J.J. Abrams and Denis Villeneuve, and it continues to educate us today. The moving master, or 'oner', is one whose history includes legends like the openings of Touch of Evil and Back to the Future. Spielberg is a master of this shot, because rather than wowing us with an obviously long take, he orchestrates the camera to move from one composed shot to another. It's effectively cutting without cutting, and is invisible to the audience. 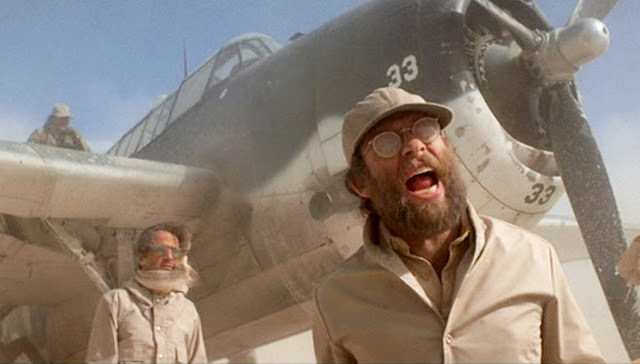 One of the best examples in Close Encounters is when the fighter planes are found in the desert. Spielberg starts in a medium shot of a plane, moves wide to track the characters as they run to the aircraft, settles on a composition of a plane, and then turns it into a two shot as David Laughlin walks toward camera and yells to someone off-screen. It's an immersive set of individual shots blended seamlessly by motivated camera movement. "I don’t agree with the idea that you can only achieve clarity through dialogue. Clarity of story, clarity of emotions — I try to achieve that in a very layered way using all the different things at my disposal — picture and sound." The effect in Close Encounters often provokes a feeling more than a clear understanding of what is being said. It is also more realistic, as real-world conversations routinely involve people interrupting and talking over each other. This is something that films from the golden age of Hollywood did very often, and while it requires a few minutes to adjust, it makes those films all the more witty and enjoyable. You have to run to keep up. All of this happens behind Roy and out of focus. The shot is clearly composed to direct our eyes to Roy and his predicament. But by deciding not to call attention to the alien ship, Spielberg brilliantly does call attention to it, shocking the audience and eliciting smiles and laughter. It's a wonderful moment that illustrates the power of restraint and showing less. Remember your childlike sense of wonder. Moving my writing to a new system means there's a lot of content left to sit in a dark corner of the web. And while some of it is dated, there's actually some good stuff there. For now, the entire archive is still available here. Movies Aren't Dialogue, They're Pictures! The local cinema is not a pulpit.